Happy Mother’s Day Month Single Mom, I See You! First I want to say that this blog was inspired by an article in the Huffington Post. That article specifically addressed single moms by circumstance. That is, it didn’t consider the moms who are single mothers by choice. 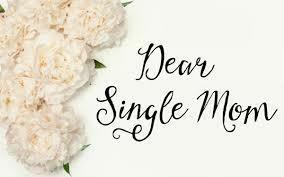 After reading the many comments addressing that fact, I felt I needed to address the single mom who chooses to be a single mom-for whatever reason. This is part one of a two part blog. My next blog will discuss the magnificence of single parenting and the different, but oh so positive, impact on your child!